This is a chart (booklet) which provides almost 200 Banjo Licks, categorized by their use in songs. The most popular bluegrass "Licks" (picking patterns) are included for every chord. Available from Amazon for $9.99 with Audio Download. Click Here to Order from Amazon! Over 190 licks and picking patterns at your fingertips for the 5-string banjo! Quickly and easily select picking patterns by chord to substitute in songs you already play, or combine patterns of your choice to create your own arrangements. The licks are organized and grouped by type, use, and by chord for on the spot improvising, arranging, and for changing a song you already know to make it yours! This easy to follow Picking Patterns Chart includes: traditional bluegrass licks and popular variations, roll patterns and variations, melodic style patterns, common up the neck licks, back up licks and moveable patterns for any chord, famous patterns by chord, licks identified from songs, moveable patterns by shape, licks for specific chords, pick up notes to begin a song, and popular endings. This easy to follow layout is organized for study as well. Students who follow this chart in order, from the first lick to the last, will find that it also teaches lick theory as it pertains to the identification, development and applications of licks in a brief, easy to understand method. A suggested exercise on how to improvise completes the chart. This chart fills a gap in understanding and applying banjo licks for all level players. It builds on the knowledge base of 5-string banjo students with an easy to follow layout by pattern type and technique. . . AND, is fun and easy to use! For all levels especially the intermediate player Standard G tuning, Key of G.
Available from Amazon in Paperback with Audio Download for $9.99! A song from Tom T. Hall that we loved to do! 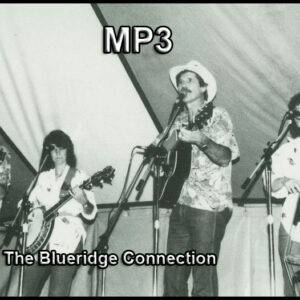 The Blueridge Connection Rock and Roll classic done in bluegrass style! Sweet Dixie by Bill Emerson is one of Bill's signature songs. It is set here in tab with a midi file that plays the notes of the tab. Tablature and Recording!